True score: the meaningful portion of variance or the average of all possible measures of the true score Measurement error: irrelevant sources of variance or the score minus the true score. The variance of the score consists of many different components. In a particular research context, some of these components are meaningful (the true score in that context) and others are not (error in that context). The proportion of variance due to true score or V(T)/V(X) where "V" means variance. Do not confuse reliability with how to measure it (e.g., internal consistency or test-retest). Reliability refers not just to the measure, but to sample and context of measurement. Thus, with a different sample or context, it can change. Use RELCOMP, a computer program for reliability computation. If all the variables are standarized the X = aT +bE. The path from the true score or T to measured variable or X when both variables are standardized equals the square root of the reliablity. Thus, the correlation of the measure with the true score equals the square root of the reliablity. 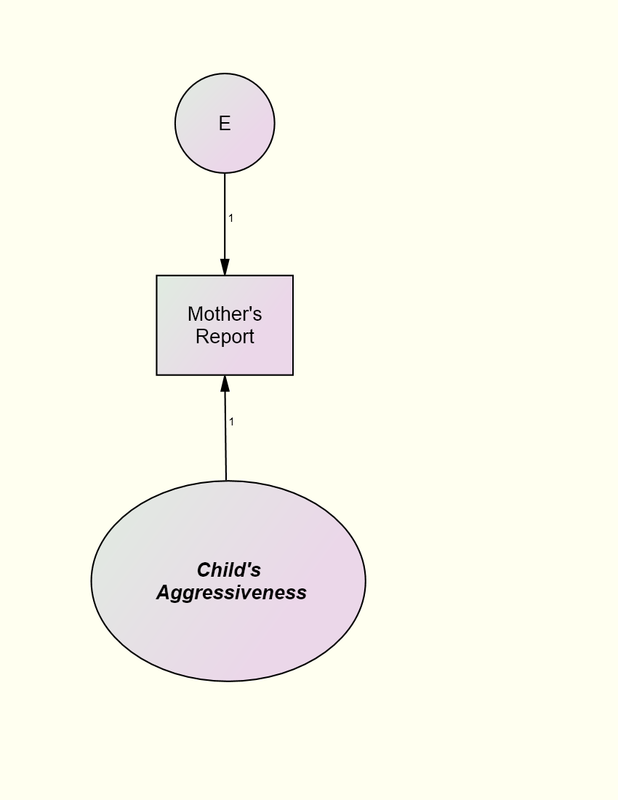 Example: To measure the reliability of mother’s or father’s report correlate the two variables. This formula gives Cronbach's alpha if all the measures had equal variance which would happen if all the measures were standardized. This formula has many uses. It can be used to determine the reliability of a test if more or less items are used. For instance, if a test has 12 items and an average inter-item correlation of .2, then its reliability is .75. But if the test were to have 24 items, its reliability would be .86 and with 6 items the reliability would be .60. The average inter-item correlation tends to be smaller than you might think. For instance, the average inter-item correlation for the Peabody Picture Vocabulary Test is about .08, the Rosenberg Self-Esteem Inventory is about .34, and the Beck Depression Inventory is about .26.
where rXX and rYY are the reliabilities of X and Y, respectively. So if the reliabilities of X and Y are both .8, and the correlation between X and Y is .4, then the corrected for attenuation correlation is .5. A disattenuated correlation is not an ordinary Pearson correlation and its range is not +1 to -1.One cannot perform the usual significance test on these correlations. Also one should avoid disattenuating a correlation if the reliabilities are small to avoid wild values. Correlated errors: Classical theory sets all correlations between error to zero. However, two indicators of the same construct may share variance because they are measured by a common method. That correlation is represented by a curved line in a path diagram. Unequal loadings: Classical theory sets all factor loadings to one. But it is possible to fix one of the loadings to one and free the other loadings. Unequal erro variances: Classical theory sets the error variances to b equal, but this assumption can be relaxed. where rXX is the reliability of X. The estimate is said to be shrunken or regressed to its mean. Causal variable X has measurement error. Variables X and Z are correlated. X affects the endogenous variable. These three factors multiply to produce bias and so if any one is missing, there is no bias. The last strategy is problematic because it presumes that reliabilities are exactly known which is never true and sometimes estimation breaks down because the correlation matrix is ill-conditioned. To implement the strategy, one would input the correlation or covariance matrix and fix the measure's error variance to one minus reliability for the correlation matrix and (1 - reliability) times the measure's variance for the covariance matrix. Later on the SEM page, another and better correction for attenuation strategy is presented (go to that page). What has been presented above is sometimes called classical test theory (CTT). 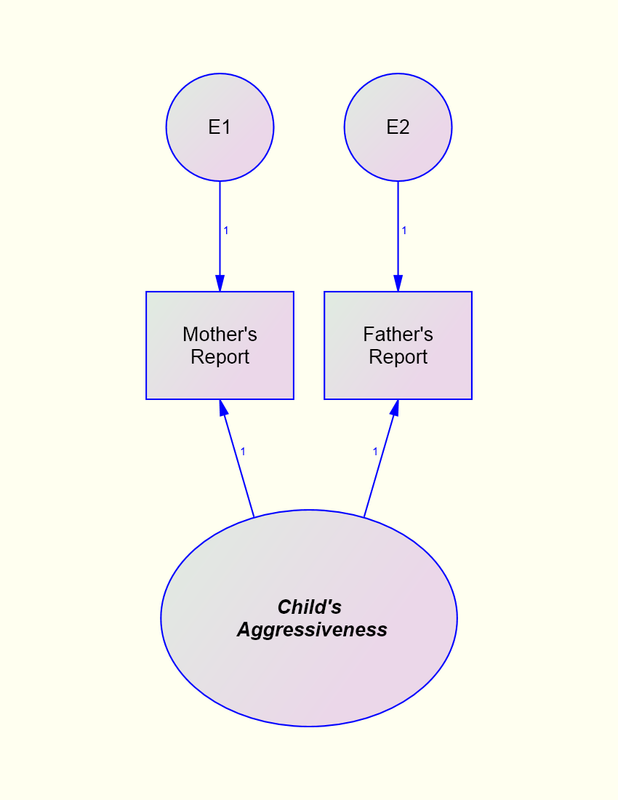 A modern alternative to CTT is item response theory which presumes a dichotomous response. Item response theory is very complicated and highly mathematical.